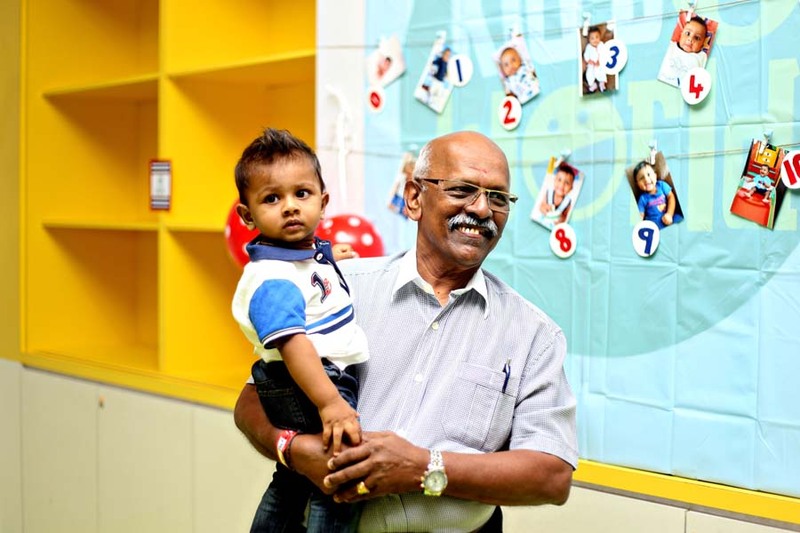 Rajeswari had planned a fun birthday party for her one year old boy, Raam and chose the classic sailor theme which is popular with boys to celebrate the occasion. Calming shades of blue with interesting sailor motifs and cookies shaped as yachts were displayed on the main table at the party. 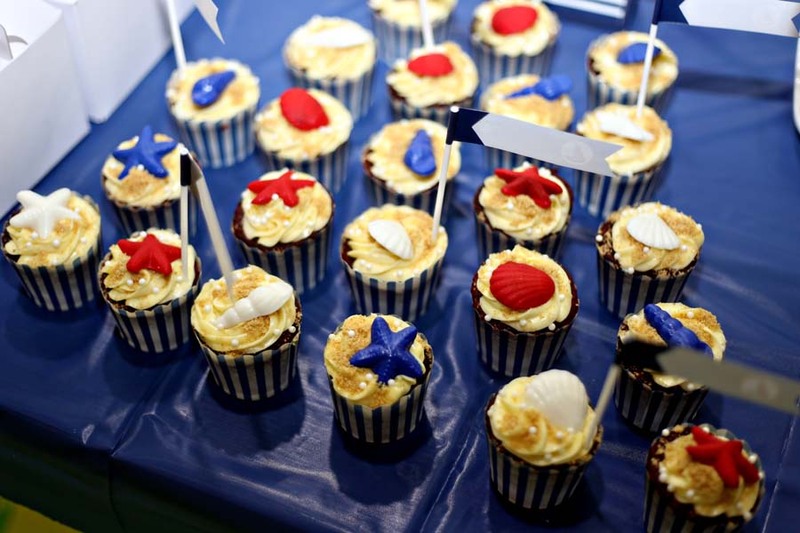 The surface of the cupcakes reminded me of sandy beaches and there were striking blue and red shells on them. Raam is actually the third child and he has two adorable older sisters. They were also dressed from head to toe in white and blue to fit the sailor theme and they looked great together! 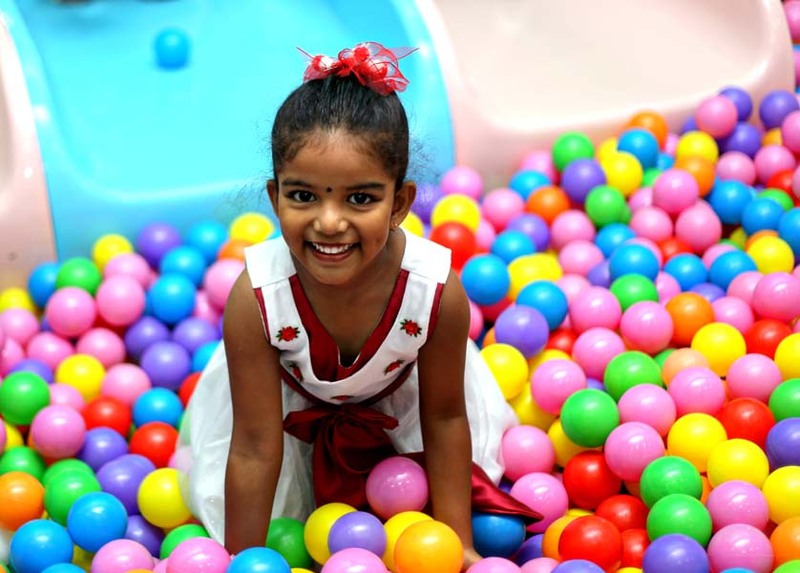 The birthday party was held at Kids E World at The Gardens, Mid Valley. The venue was a hit with the kids as they could run and jump around the play area till their heart’s content! Rajeswari had actually spent a fair bit of time and effort in making a number of the creative party decorations herself. Raam was undoubtedly the centre of attention as relatives ranging from the oldest to the youngest came to carry and hug the precocious tot. Raam’s older sisters were also having a ball as they played with their friends and cousins. 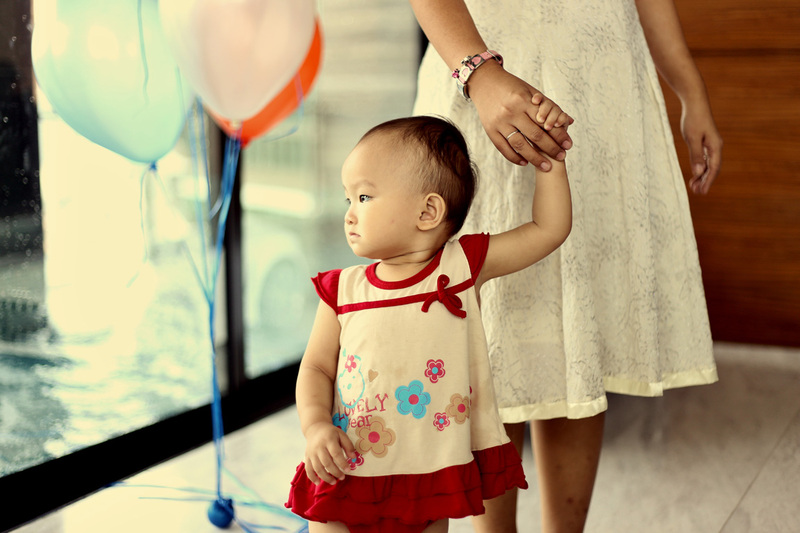 I can only imagine the fun times Raam will have by growing up with his sisters and he will always be the baby of the family!